The point of this post is not to scare you into running out and buying up as much coverage as you possibly can. The point of this post is to highlight the fact that millions of Americans are under insured and in the dark when it comes to disability coverage. How Much Disability Coverage Should You Carry? There’s no one-size-fits-all approach to calculating the perfect amount of disability coverage. Instead, compare your monthly expenses to your savings. If you’re comfortable paying your mortgage and grocery bills with savings for a long period of time, you can probably opt for a less comprehensive policy. On the other hand, you have less flexibility if you’re living paycheck to paycheck. If this is you, try and scrape together some extra cash to fund a more robust policy. Disability coverage can come in many shapes and sizes – leaving you with plenty of options. The elimination period is the time between when you submit a claim and when you start receiving benefits. Elimination periods range from 30 days on the low end to 2 years on the high end. If you have enough cash in the bank, lengthening the elimination period is a good way to reduce your policy’s premiums. Also keep in mind that disability benefits are typically paid in arrears at the end of the month. So if you have an elimination period of 30 days, you’d be waiting until the end of the second month before your payments begin. This is an area where you have some flexibility. It’s prudent to opt for a policy that pays you at least until you turn 65. You may not need benefits for the rest of your life, though. If your policy pays you 80% of your current income on a tax free basis, you’ll likely have enough to continue saving for retirement. In which case, you’ll only need to replace your income until you start drawing retirement benefits at age 65. Most disability policies only cover your income at the time you take out the policy. Even though coverage is expressed as a percentage of your pay, most policies don’t cover future additional income you’ll get from promotions, raises, and career growth. A future increase option (FIO) is a rider that accounts for this future income. Let’s say you’re 30 years old and make $100,000 per year. You have a disability policy that pays you 80% of your salary until you’re 65 if you become disabled and can’t work. Your monthly expenses are currently $4,000. If you become disabled and need to rely on your insurance coverage, your policy will pay $80,000 per year. But by the time you turn 65 your monthly expenses will be close to $8,000, with 2% inflation each year. The cost of living adjustment (COLA) rider boosts your benefit each year based on inflation. Most policies use the consumer price index (CPI) to measure inflation each year. When the cost of every day goods and services goes up, so do your benefit payments. The answer is that it depends on the renewability clause in your policy. A noncancelable and guaranteed renewable policy means that the insurance company is not allowed to change your premiums, benefits, or anything else about your policy without your permission. 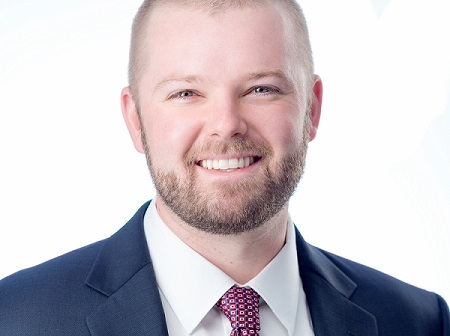 This is the strongest form of renewability in the insurance world. Guaranteed renewable policies are a step more liberal. In a guaranteed renewable policy, your insurance company probably won’t change the terms of your policy, but they can. Most often insurance companies will only raise premiums once every few years in a guaranteed renewable policy. And when they do, they need permission from your state. If steady premiums are important to you, try to find a policy that’s noncancelable and guaranteed renewable. If you opt for a guaranteed renewable policy, it always helps to check out the company’s history of rate increases. This will give some insight into how aggressive the company might be going forward. Finally, be aware that some policies cover accidents only – not illness. This might look appealing since they have lower premiums, but proceed with caution. As the graphic above shows, 90% of disability claims are the result of illness, not accident. Disability policies are classified as either short term or long term. Short term policies only pay benefits for a maximum of 2 years, and many pay for only 3-12 months. Long term policies typically pay benefits for at least 2 years. Most policies typically pay until you turn 65 or for the rest of your life. Many businesses carry disability coverage for their employees, but by and large it’s short term coverage only. 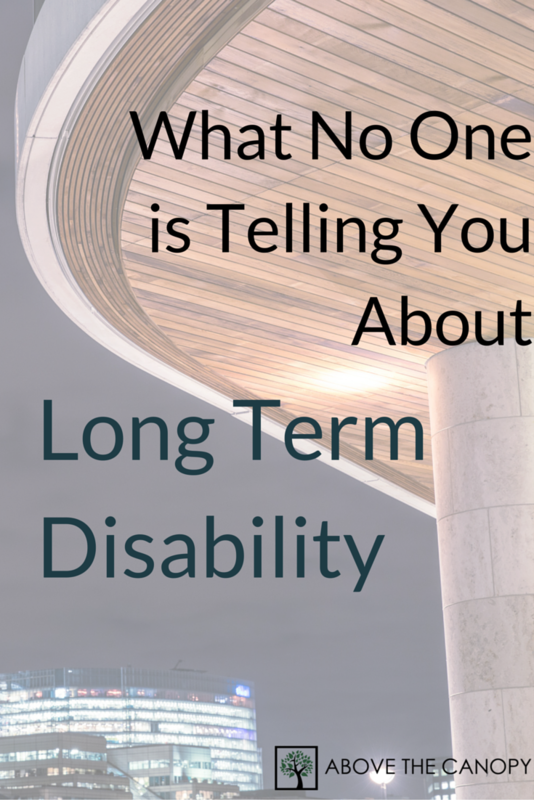 It’s not uncommon for employees to be left on their own when it comes to long term disability. The most important distinction in any disability coverage is the policy’s definition of disability. Own occupation disability policies pay benefits if you’re unable to perform your own job. Any occupation disability policies pay benefits if you’re unable to perform any job. For example, brain surgeons should always carry own occupation disability policies. If they’re in an accident and lose functionality in their hand, their career as a brain surgeon would probably be over. An own occupation policy would pay benefits in this circumstance. An any occupation policy would not, since the surgeon could still go work in another profession. As you can guess, own occupation policies are more expensive than any occupation policies since they’re more comprehensive. When employees are injured on the job, it’s often the employer’s responsibility to pay their medical bills and wages while they can’t work. Employers often purchase (and are sometimes required to purchase) worker’s compensation policies to cover this risk. This is a big difference from disability insurance. Disability insurance covers a percentage of your earnings if you can’t work due to illness or injury. It doesn’t matter whether an accident or degenerative disease caused your disability. Worker’s comp only pays if you’re hurt in an accident, and only if the accident occurred on the job. Many people assume that social security will provide sufficient benefits if they become disabled. Social security does have disability benefit provisions, but the benefits are pretty small. In 2016, the average monthly benefit is less than $1200 per month. And you would still need to qualify, which is really difficult. Basically, to be approved for social security disability benefits you need to be completely disabled and not be able to work at any job. Your disability must also be expected to last at least one year or end in death. On top of this, you’re required to have attained a certain number of social security credits during your working years. Typically you need 40 credits to qualify, which works out to 10 years of employment. The requirement for younger people is lower. And even if you do qualify, there’s a 5 month waiting period before benefits start to pay out. Long story short, it’s highly unlikely that social security will adequately replace your income if you become disabled. 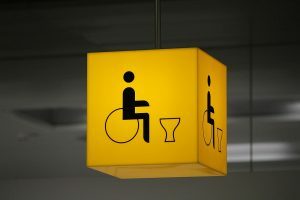 If you become disabled and make a claim to receive benefits, the monthly benefits may or may not be taxable as income. Any time you pay the monthly premiums with after tax dollars, the benefits you receive are tax free. It could be that you pay premiums out of pocket with taxable income, or they’re deducted from your paycheck on an after tax basis. Your employer may also pay disability premiums for you, which may not be counted as taxable income. Any time you don’t pay tax on the premiums, the benefits paid to you are considered taxable income. Sometimes employers will pay for a portion of disability premiums and employees cover the remainder with after tax dollars. When this happens the benefits are partially taxable, based on the percentage of after tax vs. tax free premium payments. Your employer offers long term disability coverage through a group plan. The plan promises to pay 40% of your salary if you become disabled and can’t work. Employees have the option to pay out of pocket to increase their individual coverage. Let’s say that you decide to bump up your coverage to 70% of your current salary by paying out of pocket with after tax dollars. If you need to draw on the policy down the road, 57% (40% / 70%) of your benefits will be taxable income. 43% (30% / 70%) will be tax free. Insurance companies do go bankrupt from time to time. When you shop for a disability policies – and any kind of insurance for that matter – it’s important to take the financial stability of the issuer into account. If your insurance company doesn’t have the cash on hand to pay your claim, your benefits won’t get paid. Fortunately, each state requires insurance companies to maintain a safe amount of cash on hand to pay claims. Each of these three has slightly different ratings criteria. Before signing on the dotted line, it’s a good idea to reference at least one of these ratings. Being successful as an entrepreneur requires an unusual amount of self confidence and comfort taking risks. Because of this it’s easy for entrepreneurs to feel infallible and ignore the need to insure their income. Again, the point of this post isn’t to scare you into buying long term disability insurance. The point is to understand that becoming disabled is a lot more likely than you might realize. I hope you enjoyed the post. If so, please comment and share! Posted in Entrepreneurship, Financial Planning, Insurance and tagged best disability insurance, disability insurance, disability insurance for entrepreneurs, disability insurance for small business owners, long term disability, long term disability insurance, short term disability, short term disability insurance. I have a question on long term disability I need answered. If anyone has input on the subject I would appreciate hearing from you. I started receiving long term disability from a group policy through the school district where I taught in 2004, and am still receiving payments based on 80% of my salary with pay raises yearly. The policy was written in 1994 stated my payments will continue until my retirement age of 65. Since the policy was written my retirement age with social security has changed from 65 to age 67. Does this mean my policy payments will end at age 65 regardless of the retirement age change that occurred since the writing of the policy? If I am getting long term right now an I got my old job back will they still pay me one check in the rears…. an I make the same…. is it up to me to let long term know I am back to work..or should they contact my doctor. If my doctor release me to go back to work on the second of the month but I didnt find work until the 28th of the month. Wat happens.